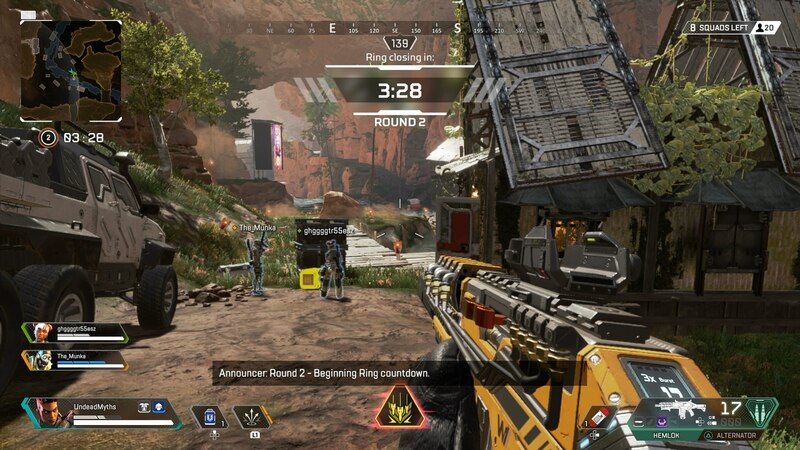 Here's everything you need to know about Bangalore in Apex Legends, including her backstory, abilities, and much more. 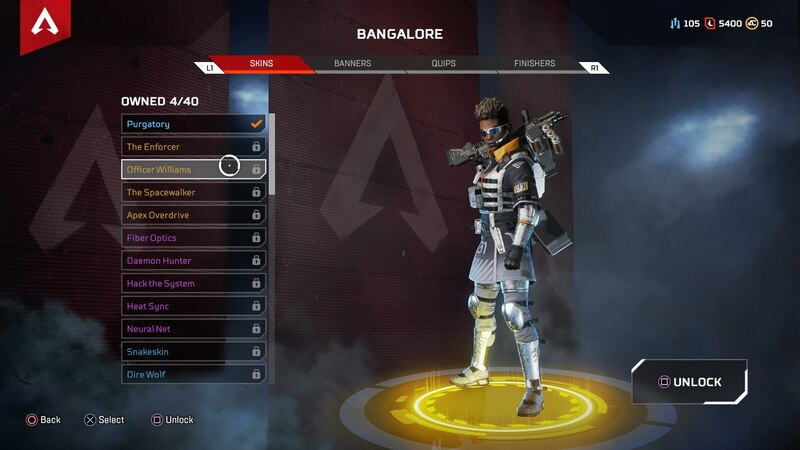 If you're on the lookout for a character that's an expert with all weapons in Apex Legends, then Bangalore will have you covered. 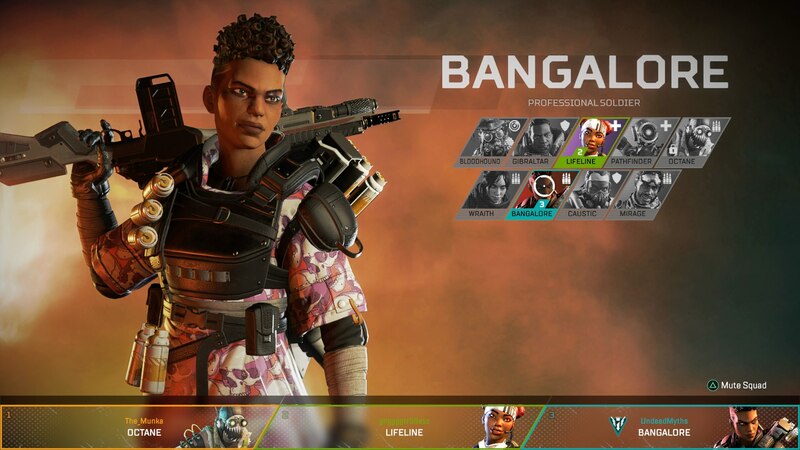 In our Apex Legends Bangalore guide, we'll be compiling all the details you need to know about the professional soldier, including her backstory, key abilities, all legendary skins, and more. The real name of Bangalore is Anita Williams. A soldier by trade just like her entire family before her, Williams was actually stranded in deep space after her IMC squad were ambushed by Militia forces. Now, at the age of 35, Williams is taking part in the Apex Games to raise money. She hopes to raise enough money for a one-way ticket back to IMC HQ, where she will be reunited with her family. 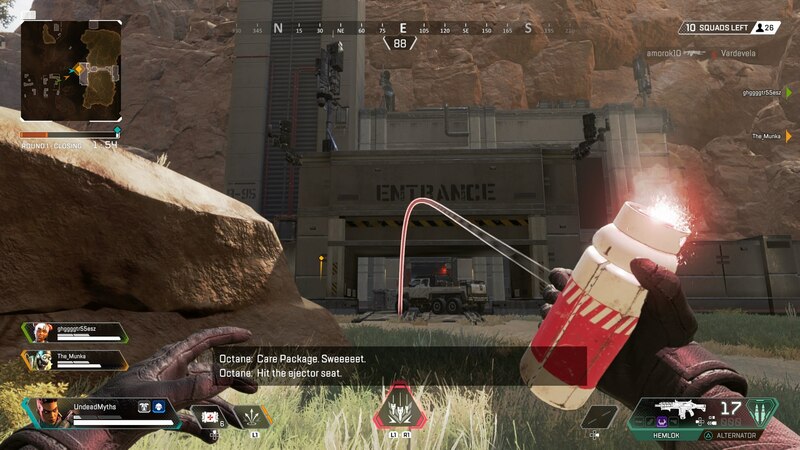 As with every other character in Apex Legends, Bangalore has three unique abilities at her disposal. There'a her passive ability, which is always active, and her tactical ability, which is bound to the left bumper on your controller. Finally, there's Bangalore's ultimate ability, which takes more time to cool down and recharge, but is brutal when executed correctly. Double Time (Passive) - If you're hit at all while already sprinting, your sprinter speed will increase for a short time. Smoke Launcher (Tactical) - Fires a single smoke canister that explodes upon impact, creating a temporary smoke wall that neither you, your team, or any enemies can see through. Rolling Thunder (Ultimate) - Throw down a marker for an artillery strike, which slowly makes its way forward in a carpet bomb formation. 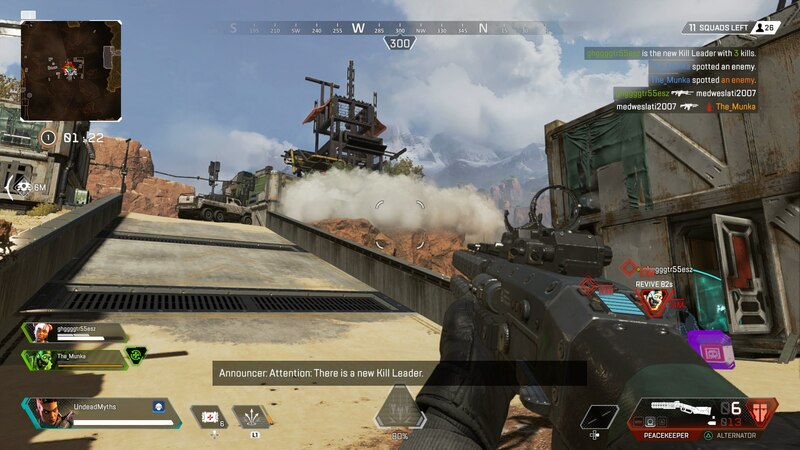 As you can probably tell from the description of Anita Williams' abilities above, Bangalore is undoubtedly an offensive character in Apex Legends. As such, when you're playing Bangalore you should act as a support character to your three teammates. Don't rush out away from them, but instead stay close to them, letting a less offensive-orientated character like Bloodhound take the lead. Unlike a support character such as Bloodhound, whose abilities can be useful while not in combat, Bangalore is geared entirely towards combat. Her smoke launcher is excellent for firing off as soon as you hear shots, either to cover your retreat while you get away to safety, or to use while you reposition yourself to get the drop on the enemy team. Finally, it's key to remember that Bangalore's Rolling Thunder ultimate strikes can't go through structures. Keeping this in mind, you're going to want to use the Rolling Thunder ultimate the moment you encounter an enemy team, so you don't give them any time to retreat inside a structure. Alternatively, if you've already killed a member of an enemy team and you think the surviving teammates are trying to revive them at a respawn beacon, use this to your advantage. Send out Rolling Thunder on the nearest respawn beacon, and then rush in when the bombs start falling. 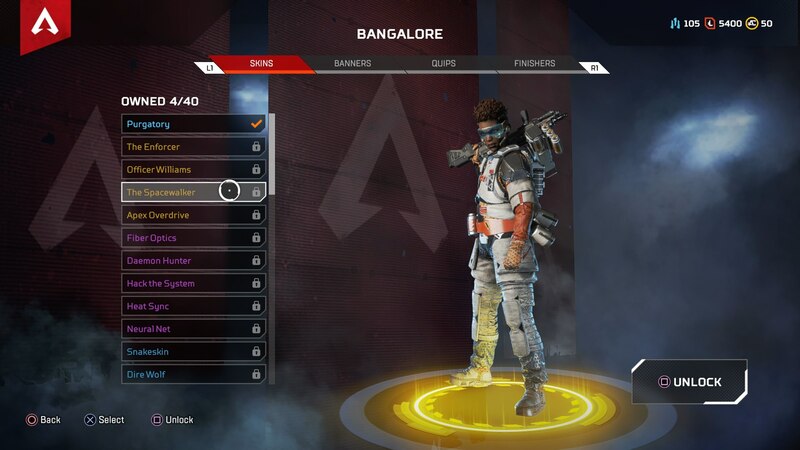 Below, you can see every legendary skin available to Bangalore in Apex Legends. As with every other legendary skin, you'll need 1,200 crafting materials to unlock any of the skins below. 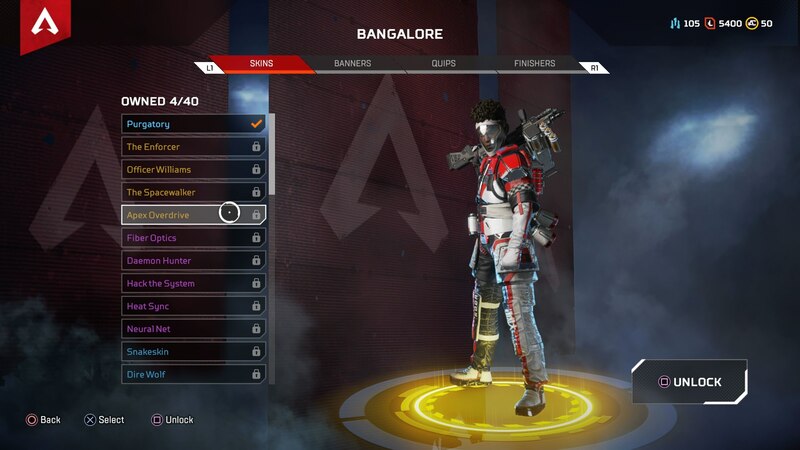 The actor that embodies the voice of Bangalore in Apex Legends is Erica Luttrell. Luttrell has previously appeared in Westworld, Magnum P.I., and iZombie on TV. 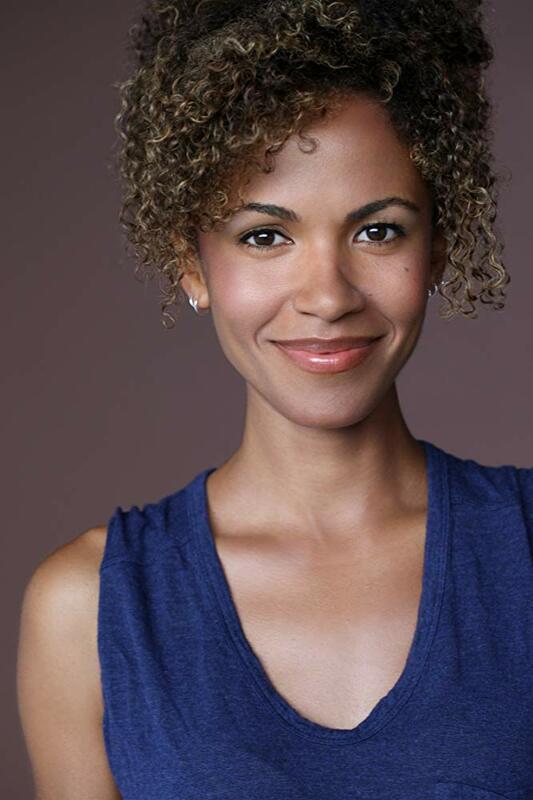 As for video games, Erica Luttrell has appeared in more games than you can count, including Dishonored 2 as Emily Kaldwin, Injustice 2 as Cheetah, Diablo 3 as the Witch Doctor, Fallout 4 as Darla, and many more.